So it’s Christmas Eve and I’ve done all my shopping, wrapped all my gifts and got the food for Christmas Day sorted. Time for some relaxation time for me. Since I’ve made and sent all my Christmas cards, I’m making a few different cards to build up my stash again. This first card is for the December Gerda Steiner challenge. I love her digital images and this sweet bunny is no exception. I printed this little cutie on my PC and coloured her in with Stampin Up Blends. Fussy cut her out, popped her on some angled scrap of DSP and added a sentiment from a Stampin Up set called “Suite sayings”. Perfect to celebrate the arrival of a little girl. The next card is for a male birthday. I never seem to have enough of these and always struggle with getting them manly enough. The current Water Cooler Challenge from Heidi has help inspired me and the sketch over on Less is More made it a slam dunk. This card I used my alcohol inks to form the shape of the sketch. I used citrus and sailboat blue alcohol ink and the sentiment is from Altenew called “Label Love”. My final card for today is also very masculine in colour and style and it will come in handy when I next need a thank-you card for a bloke. I used pebble, espresso and gold alcohol inks and the die cut sentiment is from MFT. I’m entering this card over at CASology and Freshly Made Sketches. Thanks for looking and I wish you a very Merry Christmas. Now that I’ve started my new job, I needed to make some additional Christmas cards for my new work colleagues. I just wanted to say thanks for making me feel so welcome. This first card I made 7 different colour variations as I have 7 colleagues! 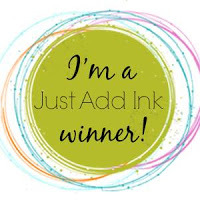 The stamp set is by Altenew called ‘Sketched Evergreen and I used Catherine Pooler Designs and Stampin Up inks. I added the silver glimmer paper to give the cards that special bit of sparkle behind the partially cut out tree. The next cards is using that cheeky gnome again with a little bit of Christmas carol song text. Stamp sets from Kaiserkraft ‘fa la la’ and Apple Blossom ‘Christmas Gnomes’. TGIFC138 It’s Time to be Inspired! Next up is an all white card. I used a variety of circle punches and a miscellaneous snowflake die that I cut out of some white glimmer paper. The sentiment is from a CAS-ual Fridays stamp set called ‘Merry Kiss-mas’. Lastly this card I made for my hubby who has a December birthday and I wanted him to know how much I loved him and that he made my heart soar. I used a stamp set from PTI called ‘Flock Together’ which is stamped using an ink pad from Kaleidacolor ‘Desert Heat’ which I stamped on watercolour paper and then spritzed with some water to blur the image. Thanks for looking through this long long post and I hope you have a great day. Author tinstar05Posted on December 17, 2017 December 17, 2017 20 Comments on More Christmas Cards Required! So today is the first day of my new job and I’m up way to early with anticipation. What’s a girl to do till she has to go to the train station? Create of course! I seem to be enamored with these adorable gnomes from Apple Blossom and a simple striped background from Stampin Up using Brushstrokes was the perfect addition for balance. I used a new ink from Catherine Pooler Designs Spa ink collection called Eucalyptus for the background – love these new colours, slightly muted yet still gorgeous. I added a little bit of puff paint for the snow at my gnomes feet and I was done. I used the current sketch over on TGIF Challenges #137 to inspire me. my design. I managed to squeeze one more card in before heading out the door. This one I used Stampin Up Coffee Cafe stamps and DSP and the sentiment is from another Stampin Up set called Jar of Cheer.The elements of this card were inspired by the current Tic Tac Toe challenge #027 where I chose the ribbon/patterned paper/coffee or tea line. Thanks for looking and I’m now off to start my next career adventure. Yep – you read right – I’m starting a new job on Monday 11th December. After 7 years at Suncorp I’m moving on to develop my career. I’m off to Australia Post as a Capability consultant looking after their on-boarding and induction programs. I’m super excited but I also know that I’m going to be super busy so am making the most of my weekend to get my craft on! My friend Michelle from Seashell Creations popped over yesterday and I borrowed a few of her gorgeous floral stamps, one of which I used on this first card. The flower is from SSS called Floral Bliss which I have coloured with my Stampin Up Blends. I’m entering this card over on the MUSE #245 challenge. The card inspiration is from Anita Bowden. I loved the flower on the edge fussy cut out to show the underlying card base. The next card is using a super cute set by Apple Blossom called Christmas Gnomes. The background and sentiment for the gnomes were free digi images from Whimsy Stamps. I think the snowy scene qualifies as rather stormy – don’t you? I’m entering this card for the current CASology #278 challenge – Stormy. I used a stamp set from Unity Stamps May 2014 KOTM called Hey Girl. I stamped and embossed her then water-colour her and fussy cut her out and popped her and the sentiment up on a left over bot of misc. DSP. I’m entering her in over on the current Watercooler Wednesday Challenge #248 – Heidi’s Feminine “Anything Goes”. My final card for today is another Christmas card. I used my alcohol inks in Citrus and Clover for the background piece and then I stamped in Stazon the globe and sentiment from Unity Stamps KOTM October 2016 Holiday Hugs and KOTM September 2015 Our Heart To Yours. I added a bit of left over solver glimmer paper for the finishing touch. I’m pretty please with how this came out and think it fits the current challenge over at Less Is More #358 Candles or something depicting light which I think a globe does. Well thanks for looking and have a great rest of your weekend. I love this time of year; food, decorating, music, movies and shopping – but only cause I’m organised and plan my trips to the shops early to avoid the crowds. I’ve made a decision this year to walk around with a smile on my face rather than that harried look I see most people with – it’s a time of year to be enjoyed not a chore. You’d be surprise the looks I get from people when I smile at them, most smile back and I hope that I change their outlook for the day. So all that shopping I’ve been doing means I need tags for my presents. I made this guy using a new set I got in the mail from the UK from Apple Blossom called ‘Christmas Gnomes’. This is the most adorable stamp set and I see it becoming a staple for future Christmas cards. I stamped and water coloured him, then added him to a grey piece of card stock, added some Christmas washi tape and ribbon to attach him to my gift and I was done. I’m entering this tag over at The Cats Pajamas Tuesday Challenge #341 Tag It and Little Red Wagon Challenge #422 Holiday Tags & Gift Card Holders. Author tinstar05Posted on December 7, 2017 4 Comments on 18 days and counting! Today I was feeling Christmassy as we decorated our home. We played Christmas movies while we decorated and I then finished writing my cards and realised that I’d miscalculated how many I needed and had come up short; so off to the craft room I sprang. This first card I made with a background piece using my alcohol inks (citrus and clover), then stamped the Linear Baubles from Stamp-It in Stazon and added some twine red bows for the finishing touch. I’m really please how the background turned out and am getting better at letting the ink just do its thing. I’m entering this card over on the Less Is More 357 Red and Green challenge. The next card I made to send to my brother over in Holland and hope it’s not too girly. I stamped the branches from the Outline Holiday Cone set by The Ton in Catherine Pooler Design inks in Garden Party, Grass Skirt and Lime Rickey. The baubles were die cut in shiny gold card stock and the sentiment from the Mistletoe Kisses set by The Ton was stamped in Black Jack on the angled vellum piece. I’m entering this card over at CASology 277 Round and The Male Room 74 – Use Vellum. The vellum really softens the overall look of the card. I’m sure I’ll find that I’ve missed people on my card list and will be making more cards but until then, thanks for looking and have a great day.